When you find a yarn that you absolutely love, it is so much fun designing crochet and knit pieces with it! Such a yarn must be versatile, good quality, come in a range of colours, be easy to work with, and preferably be widely available so that everyone can easily get a hold of it! This blog post is dedicated to one of my favourite yarns from a company that I’ve had the pleasure of regularly collaborating with: Wool-Ease Thick & Quick by Lion Brand Yarn! If you peruse Instagram and Ravelry, you’ll see that many makers LOVE using this yarn, and it’s no wonder why. I will share some of my favourite qualities about this yarn and revisit some of my blog posts throughout the years that all use this wool blend yarn! Wool-Ease Thick & Quick is a super bulky (level 6) yarn that has a unique composition: 20% wool and 80% acrylic. This means that you get the benefits of wool (soft and warm) and the ease of having it being machine washable with the mostly acrylic composition. It comes in a huge assortment of colours (85 options on the Lion Brand website) ranging from solids and tweeds to stripes and metallics. Some of my favourite colours include Fisherman (a beautiful neutral cream), Mustard, Grey Marble, Starlight and Wheat. 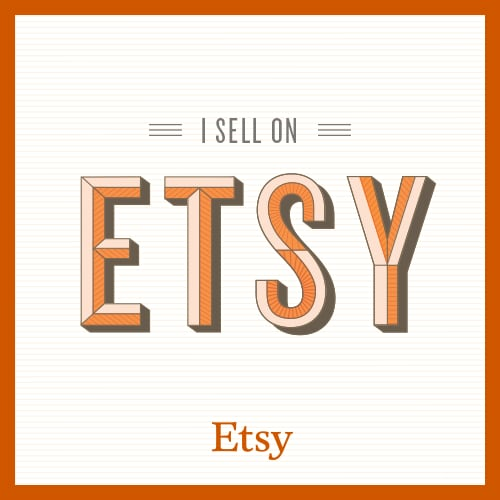 This yarn is widely available in local craft stores such as Michaels, JoAnn’s and Walmart and available online on sites such as Amazon. Another amazing quality about Wool-Ease Thick & Quick is that the ends can be FELTED together with a felting needle (see HERE) since it has some wool in it! This means that you do not need to tie knots when joining another ball of yarn, and you do not need to weave in ends when finishing a project: you can simply felt the ends together or felt the end to the rest of the piece! I did a comprehensive blog post about this technique HERE, and you can check out my felting video below- go to the 0:27 mark to see me felt Wool-Ease Thick & Quick (you can also view this video on YouTube HERE)! This yarn works up beautifully with knit and crochet projects, and I will now show you how I’ve used it in my projects throughout the years! The first project I designed with Wool-Ease Thick & Quick was my “Long Double Crochet Cowl” back in January 2013! I adore this beautifully rich colour and how it brightens up any winter outfit. 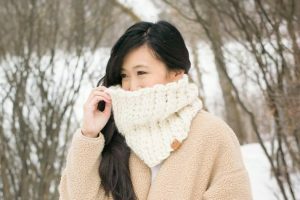 This scarf is a simple beginner’s project, and it gives a very full and voluminous look since it wraps around the neck twice! Check out the free pattern HERE! My very first campaign with Lion Brand Yarn was for the #scarfie project (selfie + scarf) several years ago. I designed the “Twist Cowl“- a textured cowl with two different designs on each side and with a built-in twist. Depending on how it is twisted and worn, more of a particular pattern can be displayed! Check out the free pattern HERE! This yarn is so versatile as the next thing I crocheted with them were home decor items: baskets! 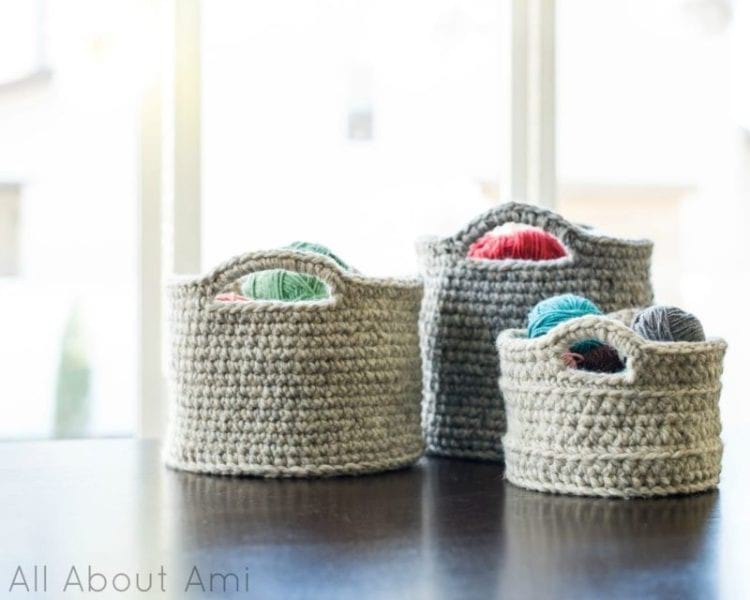 These stunning baskets are a staple in our home, and they are so helpful in storing everything from yarn and socks to toys and hats. The stiffness of the baskets is achieved by holding two strands of Wool-Ease Thick & Quick together with an 8 mm hook. Find the blog posts for these crocheted baskets HERE and HERE (links to the free patterns can be found there)! When I rediscovered my love of knitting a year and a half ago, there was no doubt which yarn I wanted to knit with! I used the colour Fisherman to knit this cute Fisherman’s Rib Hat (so fitting!) and I LOVE how it turned out! This is actually not a very beginner-friendly hat design, but I am so proud of myself that I managed to work through it as my first knitted hat thanks to a very helpful video tutorial. I love making these hats as gifts for friends, and I actually knitted them for Myla’s preschool teachers as Christmas gifts too! 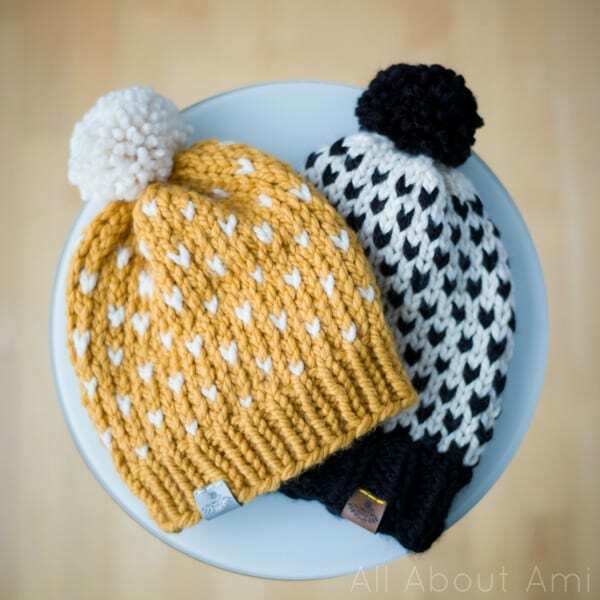 Each hat uses less than one skein of Wool-Ease Thick & Quick yarn including the pom pom! You can find my blog post about this Fisherman’s Rib Hat HERE! One of the knitting challenges I wanted to tackle was fair isle knitting! I love the look of the little “hearts” or “arrows” created when switching colours in stockinette, and I think the mustard/white and black/white colour combos look so striking! I followed a pattern by Kathleen of Country Pine Designs to create these hats, and I know Kathleen loves using Wool-Ease Thick & Quick Yarn for all her hat designs as well! Read more about these beautiful hats in my blog post HERE! This is what the Fair Isle Hats look like when worn! After I shared all the fun projects I was knitting, many of you mentioned how you wanted to learn as well! Thus, I decided to create a comprehensive “Simple Knit Series” to introduce beginners to the basic stitches of knitting with accompanying simple and modern designs. To practice the Garter Stitch (just knit stitches), I designed the luxurious “Simple Garter Stitch Cowl/Scarf” which is created by holding a strand of Wool-Ease Thick & Quick with a strand of Homespun. To practice the Stockinete Stitch (knit and purl stitches), I designed the “Simple Stockinette Hat” with no increasing or decreasing with a faux fur pom pom ontop! To practice the Seed Stitch (alternating knit and purl stitches), I designed the “Simple Seed Stitch Headband” and made sizes for myself and the girls! I wanted to use a widely available, beginner-friendly yarn for this entire series, and I am so happy that I used Wool-Ease Thick & Quick! I love gifting hats to babies, and our friends have been having lots of babies haha! I’ve been using left-over skeins to knit newborn hats, and I love how stretchy they are as you never know how large a baby’s head is going to be- there is such a large range! The free pattern for these Basic Knitted Baby Hats can be found HERE! As you can see, Wool-Ease Thick & Quick is one of my favourite yarns and it is a staple in my yarn stash. On a recent trip to Michaels, I scoped out some of these gorgeous colours as shown in the picture below: Constellation, Metropolis, Fossil, and Moonlight! With so many colours available, you are bound to find what you are looking for, and its wool content gives finished items such a luxurious and warm feel. Being able to felt the yarn ends is a HUGE bonus, particularly if you are working on a large project. This leads me to a little hint about one of my upcoming designs coming in the fall: a throw blanket using Wool-Ease Thick & Quick! It took me a while to figure out the design and what stitches I wanted to use, but I am thrilled with what I’ve come up with! I can’t wait to show you in the coming months! 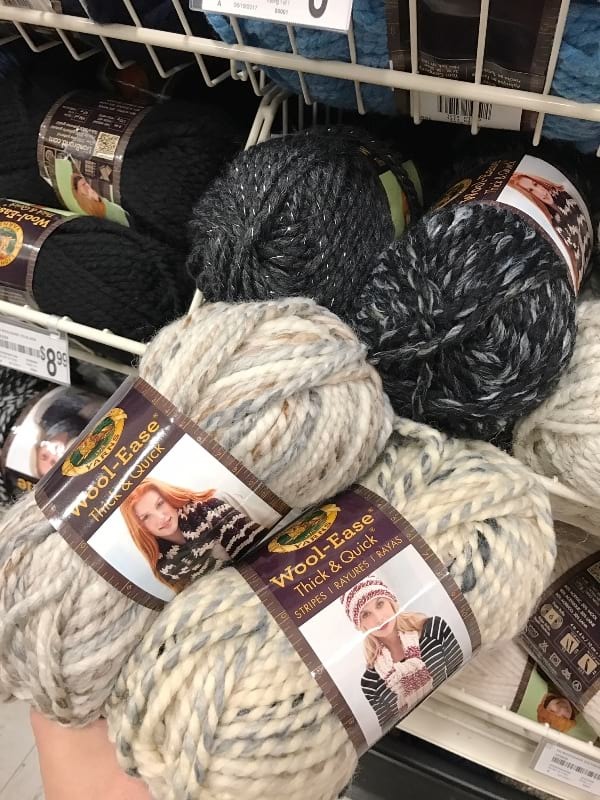 Lion Brand Yarn has generously offered to provide a GIVEAWAY for my readers so that some of you can work with this amazing yarn! THREE winners will each receive 2 skeins of Wool-Ease Quick & Thick in the colours of your choice! ***To enter this giveaway, leave a comment below and tell us which of my above projects you would like to try OR what colours you would choose (or BOTH)! See the assortment of colours HERE on the Lion Brand Yarn site! This giveaway is open to residents of the U.S. and Canada only (sorry, overseas readers) and will close on Sunday, July 16th at 8 PM MST. You can also enter through Facebook and Instagram as I will be choosing one winner from the blog, one from Facebook, and one from Instagram! Hope you enjoyed this round-up and that you’re as excited to work with Wool-Ease Quick & Thick as I am!